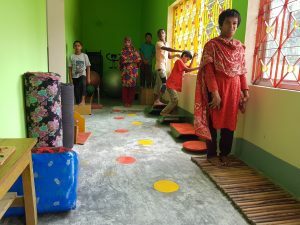 It's fairly quiet on the writing front at the moment, so I figured it was time to post a Bhola update: the all-important education and training we aim for all the children to experience. 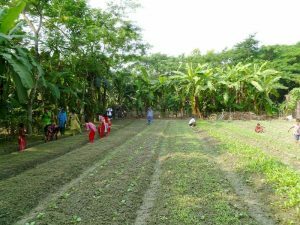 Farming and food preparation are fundamental to daily life at Bhola Garden. The younger children start with basic classroom education. 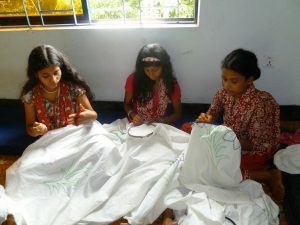 The aim is to equip them, where possible, to transfer to mainstream school within three years. If they are unable to transfer, they are given the opportunity to stay on and train, hopefully to certified standard, in a trade: farming, metalwork, carpentry, or tailoring. 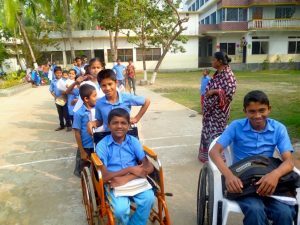 All the children, except those with severe learning disabilities, attend the local primary school every day. Classes are also held at home six days a week. The children are taught reading, writing and arithmetic. They learn both Bangla and Western script. They are also all taught sign language and the deaf are taught to lip read. Whatever a child’s disability, we seek to help them with exercises and therapies appropriate to their needs. For those with cerebral palsy the emphasis is on developing their sensory and cognitive skills and coordination. For blind children, improving their sense of balance is important. Deaf children are taught to make vocal sounds and to control those sounds – especially the volume! 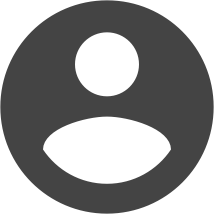 Apart from treating our own children, we offer free physiotherapy to outpatients both adult and child. We also hope mothers with new born babies suffering from physical deformities will come and live with us for a short period in order to learn the exercises to improve the child’s future mobility. It is part of the ethos of Bhola Garden, which is inculcated right from the child’s first day, that everyone should be respected and everyone can and should care for and help everyone else. They are also shown that, while life is hard work, it should also be fun. Of necessity people in a poor island community have to be as self-sufficient as possible and where agricultural tasks are involved, such as weeding, planting and harvesting, every available hand is required. Everyone should do his share of the chores. For example, after the weekly trip to the fish market, at least 25 kilos of fish have to be descaled, cleaned, cut into pieces and packed away in the freezer. Virtually nothing is wasted – the fish heads end up on someone’s plate just like any other parts of the fish. The children are taught to swim in the pond, to paddle a boat and play water polo. 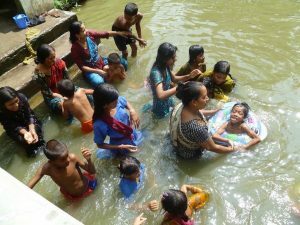 They are taken to the sea or riverside – nowhere in Bhola is much more than 5 miles from the Sea of Bengal to the East or the estuary of the River Meghna to the West, but often children in the villages have never seen either! At Valumia we grow vegetables, fruit, timber and fish. There are over 9,000 square metres of productive fields and fishponds. There is a tube-well and a small house for the caretaker and his family. So we have the facilities to train in horticulture, arboriculture, aquaculture and to a limited extent animal husbandry. Every child has clothes made for them. At Eid everybody gets a new set of clothes.